Airports in Switzerland, map, codes and arrival information. Currently there are 7 international airports in Switzerland, in 2015 they handled a total of 48 million passengers. The airports are located in all corners of the country, so picking the optimal airport will save you a lot of time on ground travel. The airport by Zurich is often called the Kloten Airport, not surprisingly this airport is the busiest airport in the Switzerland, the airport is located 13 km north of Zurich center, travelling to the center is fairly easy, here you can see what option there is. 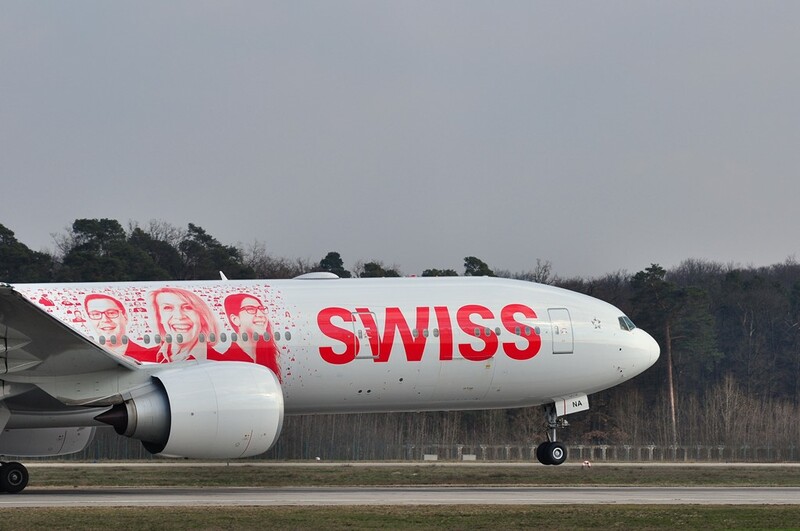 Zurich is the main hub for Swiss airlines (Swiss International Air Lines. ), Germania, Belair and Swiss global air lines also uses the airport as a hub. During winter season you have bus from the airport to popular ski resorts like Stuben, Zürs, Lech, St. Christoph and St. Anton, other destinations can be reached from the bus station or the railway station in Zurich. The International airport by Geneva is the second busiest airport in Switzerland, the airport is located about 5 km northwest of the city center, which can be reached in less than 10 minutes by train from the airport, there are also several bus lines to all city parts of Geneva. Geneva airport is the main Swiss hub for Easyjet and also Swiss airlines use the airport as a hub. The airport is well connected to all major cities in Europe year around. Within a 3 hour drive from Geneva airport you can reach more than 300 skiing resorts in France, Italy and Switzerland, the easiest way of getting to most of the ski resorts is to arrange a transfer from the airport. The airport is officially called EuroAirport Basel Mulhouse Freiburg and as the name suggest it is not only an airport for Basel. The airport is located 3.5 km northwest of Basel center which is actually in France. From the airport is takes about 15 minutes to get to Basel centrum by bus. The airports has whole year connection to most larger cities in Europe, Easyjet and Belair, uses the Euroairport as a hub. From the airport you have bus to Zurich and Strasbourg, other destinations can be reached from the railway or bus station in Basel. If you are travelling to ski resort you could pre-book a transfer from Airport. The airport at the Swiss capital Bern i actually fairly small compared to the 3 airports mentioned above, the airport is located 6 km southeast of Bern center. The airport is Homebase for SkyWork Airlines and base for Helvetic airlines, the two companies operate about 30 seasonal out of Bern to destinations like Antalya, Heraklion, Palma de Mallorca, Barcelona, Berlin, London. Currently the only whole year operating route is to Munich. Cheapest way of getting to and from the airport is bus, which operate between airport and main railway station. The Lugano airport is the the most southern of the Swiss airports, the airport is located a few km south of Lugana center, the runway almost stretches into the Lake Lugano, so landing and taking off from the airport is usually a stunning sight. The airport is mainly used for seasonal and charter flight, but there is domestic flights from Geneva and Zurich which operates whole year. The easiest way of getting to / from airport from Lugano is by taxi, the agno train station is 10 min foot walk from the airport which can bit of a hassle if you have a large suitcase. Within a 3 hour drive from the airport you can reach more than 200 ski resorts in Switzerland and Italy, resorts like Andermatt, Realp, Winterhorn is 1.5 hour drive from the airport. As alternative to the Lugano airport you could use Milan Malpensa which is about 65 km away. St. Gallen–Altenrhein Airport or as it is also called the People’s Business Airport, i a small airport located almost at the banks of the Bodensee, from the airport in Altenrhein to St. Gallen there is about 20 km. The airport is the home base of People’s Viennaline, which operated lines to Cologne, Friedrichshafen and Vienna, as well as charter flights to destinations like Mallorca, Pula and Cagliari. The airport in St. Gallen is the closest airport to Liechtenstein. From the airport in St.Gallen you can also reach several ski resort, e.g Saint Anton am Arlberg is about 100 km from the airport. The Sion airport is another airport in Switzerland which is mainly used for charter traffic. The airport is located only 2.5 km from the centre of Sion. The airport has undergone several improvement, so it is expected that the number of planes but scheduled as well as charter will increase in 2017. Sion airport is located very close to some of the most popular Swiss ski resorts like e.g Zermatt which is 75 km away.